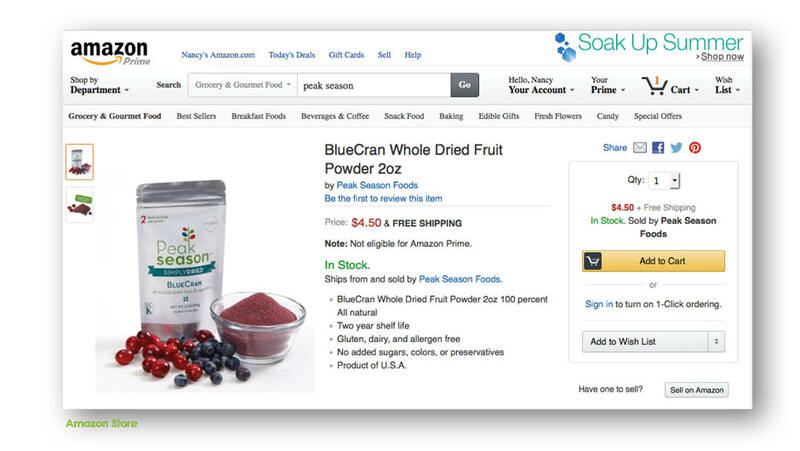 Peak Season Foods, a producer of high quality dried fruit and vegetables, needed to launch their company from ground zero. 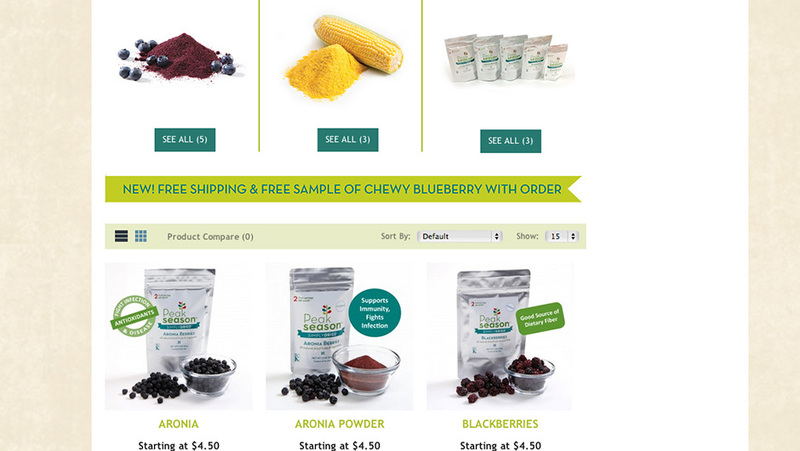 They needed a name, logo, branding, messaging, website and general online presence as their goal was to become ane-commerce business. They also needed to determine their target market. 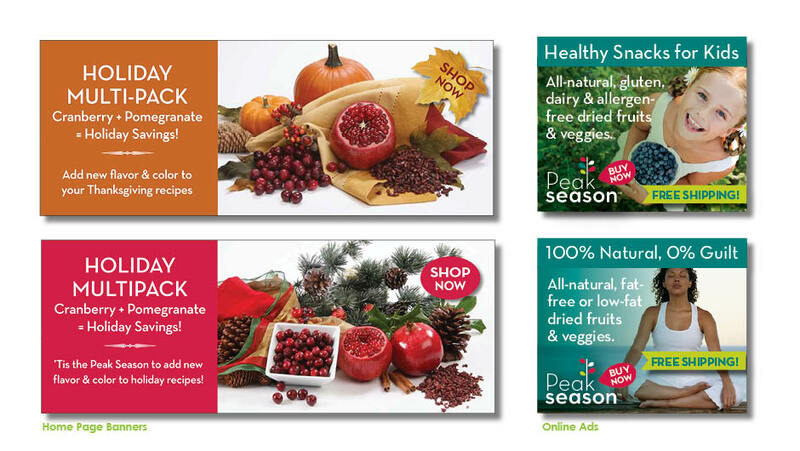 Brand Strategy & Logo: After O'Neill Communications performed a thorough analysis of the product offerings, a company name and logo were developed that spoke to the quality and freshness of Peak Season Foods. The firm's design team developed several concepts that were refined for client consideration. Each included a description of key design elements. 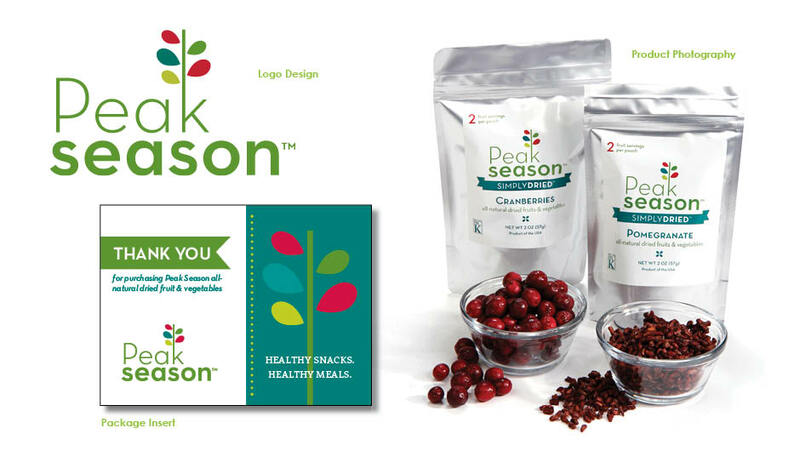 The leadership chose a logo that features the Peak Season Foods name in a fresh green color and bold font with the likeness of a tree and colorful leaves. Messaging: A messaging strategy was needed to effectively determine and reach target audiences. 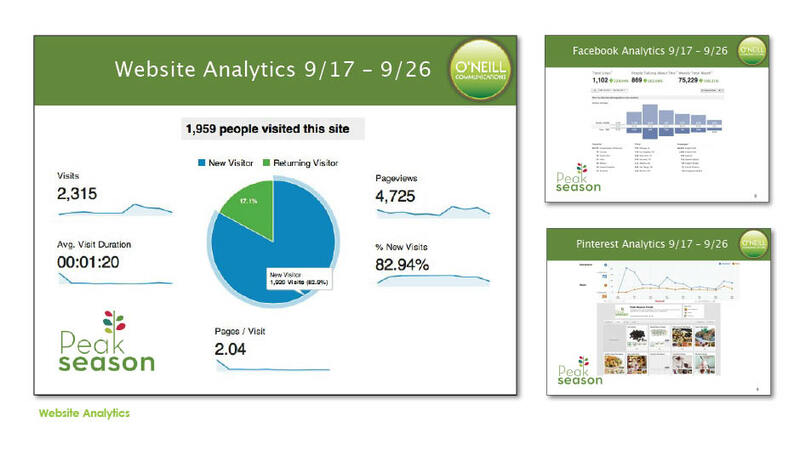 To ensure consistent, strategic communications with clearly segmented and welldefined target markets, O'Neill created multiple messages for various audiences. By running segmented messages simultaneously, this allowed O'Neill to determine which target market was most relevant to Peak Season Foods. 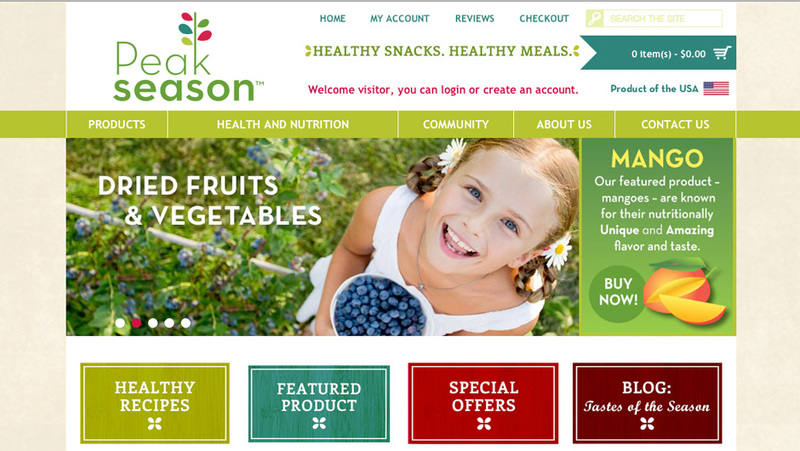 Website: As part of the launch effort, O'Neill Communications built the Peak Season Foods website from the ground up, using the latest infrastructure and search engine optimization (SEO) features and adding fresh graphics, engaging copy, interactive features and cross-platform functionality. New photography that showcases product lines in various applications along with a magazine-style product catalog are among the most prominent features of the website. 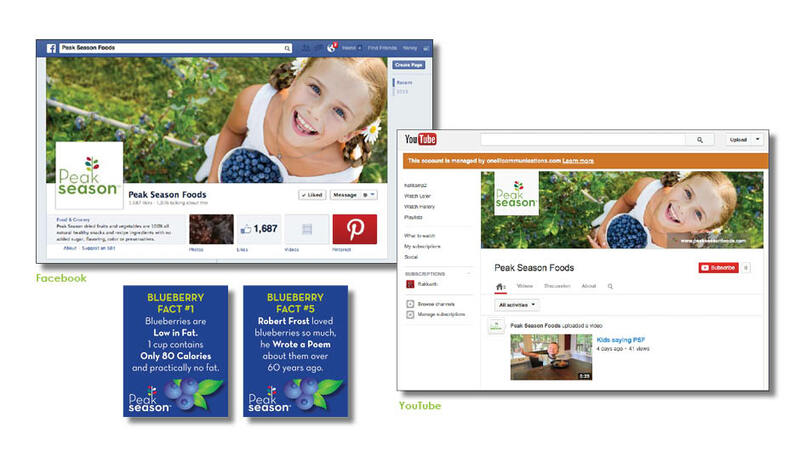 Promotional efforts: With the website live and Peak Season Foods ready for business, O'Neill Communications developed and launched web and social media promotional campaigns to create brand and product awareness. 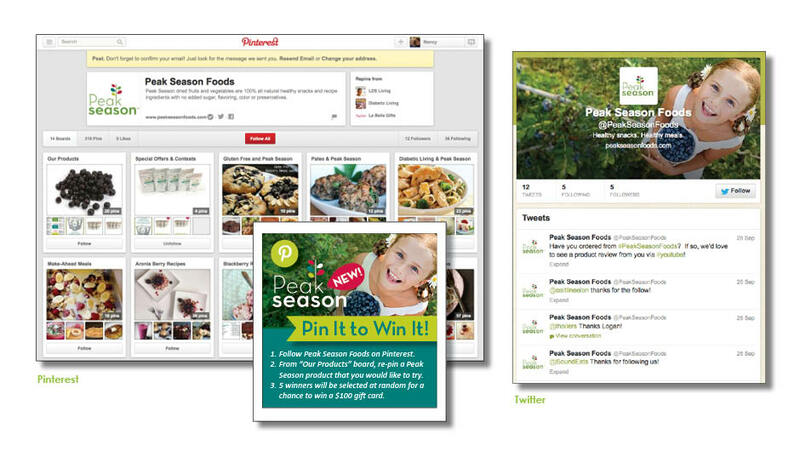 Social media fan pages were also created in order to engage with customers in real time. 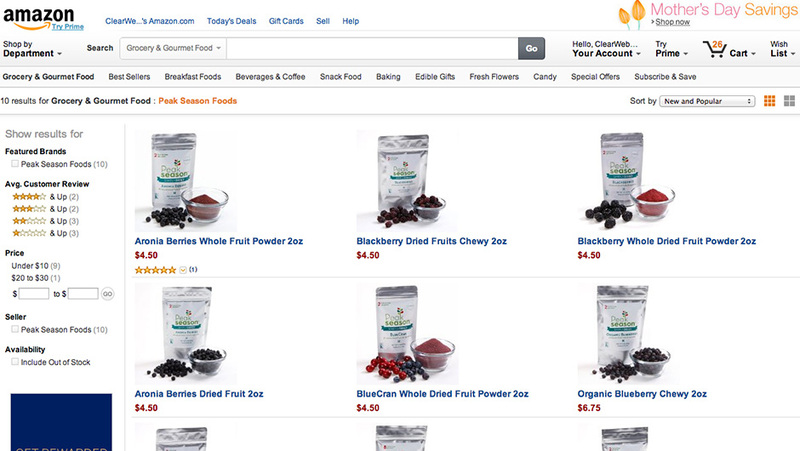 The Peak Season Foods brand was created and went to market in less than 100 days. Their leadership is enjoying the look of the new brand and website and continues to engage O'Neill Communications for additional project and campaign work.